In the post-post modern post colonial west, particularly among its disciples in liberal Europe and even aux Etats Unis [such as Hakim Bey] have been busily propagating the idea that the American Revolution of 1776 represented some kind of an anti-colonialist movement that once having achieved a kind of hegemony over the natives decided it no longer needed the protection of the motherland to secure their power rose up against their former masters cast and them off. This point of view is of course factually and demonstrably false. Chamberlain: “Captain Preston, what made you go to the Concord fight? From the moment they stepped of their ships from Europe, long before the issue of their relationship with the continent’s earlier inhabitants was settled, American colonists understood themselves to be, and acted as if they were a free, self governing people. Every colony had its legislature, and every town, village, and settlement had it’s proper governing body. It was the unjust infringement upon liberties that were already secure, but in danger of being lost, that caused Americans to rise up in revolution against their brethren in the old country. From the American perspective it was a civil war rather than a rebellion, Americans had been under the yoke of no one and intended no yoke be placed upon them. The course of American history since 1776 has been the slow, ofttimes difficult and fractious, extension of the franchise of liberty from the enfranchised to the disenfranchised by the petition of the disenfranchised to the ultimate assent of the enfranchised. This has been the case because the natural idea, the ideal that makes America, America, cannot stand an enfranchised and a disenfranchised because we hold these truths to be self evident, that all humans are created equal and are endowed by their creator with certain inalienable rights, among which, are the right to life, liberty, and the pursuit of happiness. Now, it may be that the enlightenment ideal of natural law is a polite fairytale that we tell each other to keep ourselves free from the tyranny of our neighbors, but it is a necessary fairytale, and it makes us more free than the story that some of us are in fact: more intelligent, stronger, more powerful, richer, better educated than our brethren should be the ruling fairytale of our domain. This lesson needs to be learned again by every generation. 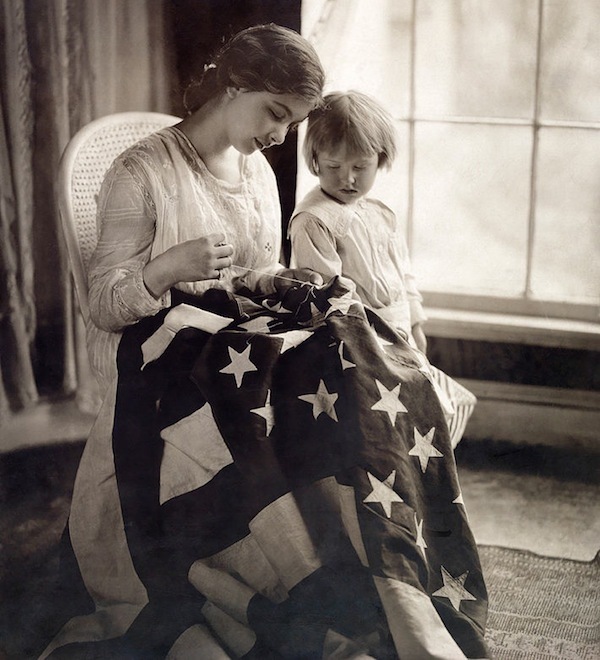 Every generation forgets and every generation learns it anew: how to extend the blessings of liberty from those who are enfranchised to those who are not with less pain, and less bloodshed than the generations who have gone before and at the same times remain inalienably American. This entry was posted in History, Politics & Public Policy, Uncategorized and tagged battle of lexington and condord, freedom, independence day, John Locke, Levi Preston, liberty, Mellen Chamberlain, revolutionar war, US Flag by w.w.wygart. Bookmark the permalink.